Use this hot air gun for a wide range of projects. A durable and versatile tool, it can be used with a variety of mediums. The R&F Hot Air Gun features two fan speeds and a variable temperature setting for versatility in heating the painting surface. 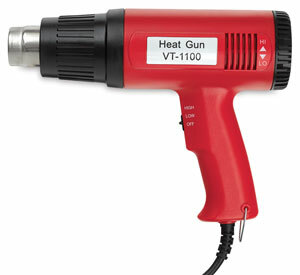 Because of these features, this hot air gun is particularly good for use with encaustic paints. Nozzles — Additional nozzles are sold separately and offer a wider range on heat application. Circle and fan nozzles are available.